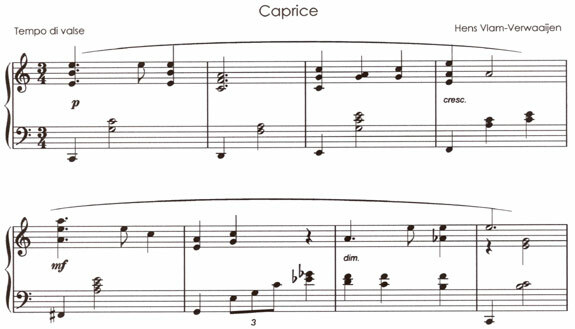 These six compositions are based on the themes that were formed from the available letters in proper names. It is remarkable, however, that many Dutch names contain a majority of e's and a's which more or less create the sound of a fire engine in action! I sometimes add the letter S which sounds like E-flat to Dutch ears. for Philip Cornelis Michiel Vlam. for Juliette Henzina Caprice Vlam. Note: when my Dutch/ American friend translated my small biography she came across the intriguing word "harddiminished 7 chord". She asked me for an explanation and I tried. 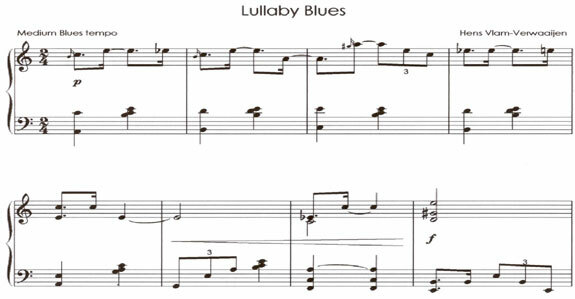 In my "thank you"- composition I concealed this chord several times, starting in the second bar, by way of a joke. 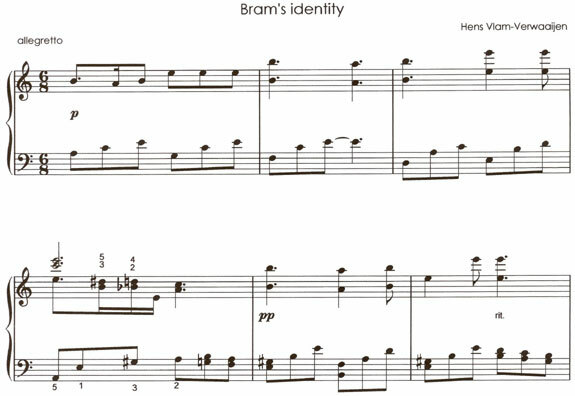 The theory demands a D-sharp, but I took the liberty to change it into E-flat, which is the same key on the piano. 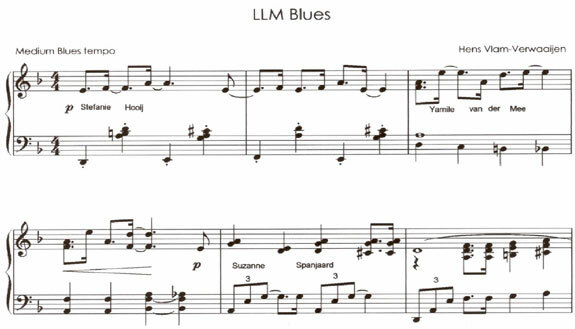 It was for this occasion that I wrote the LL(ight) M(usic) Blues. From our proper names I created through the available letters five different motifs. 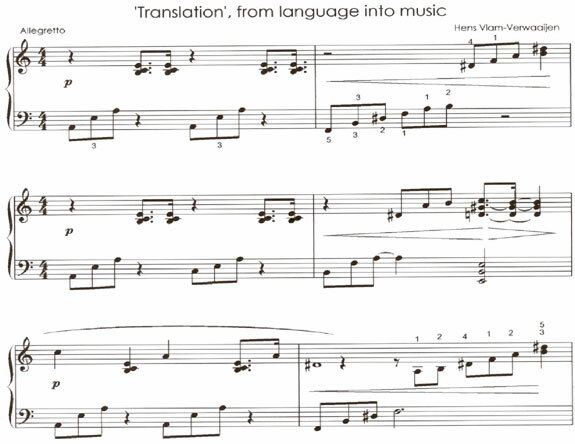 From the names of Yamilé van der Mee en Frank Wiebenga I dropped one e.
When this well-known Dutch pianist had to spend some time in hospital I thought of cheering him up by sending him a serial of, mostly, 8 music bars every other day. I also announced a different key for the following day. I deflected from the given notes twice and used the C (from his wife's name) instead. Every part turned out to be a surprise and not just for him. When he eventually left the hospital I could give him the completed composition.